It took nearly ten frustrating months of bouncing around Sunday to Sunday before we finally found a church community here in Buenos Aires that offers us a chance to be involved, make friends with people our age, speak English and Spanish, and travel less than 20 minutes to attend. 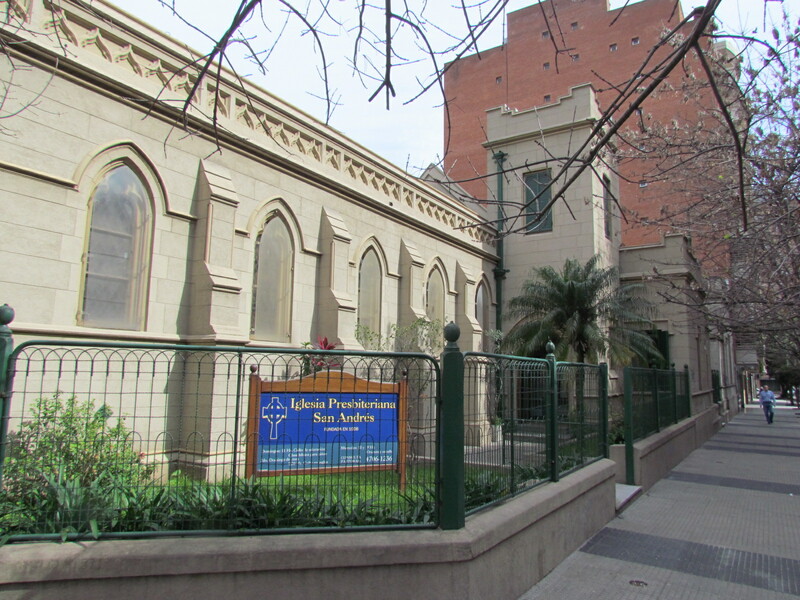 We are now regulars at San Andrés Presbyterian Church (Iglesia Presbiteriana San Andrés) in the Belgrano neighborhood of Buenos Aires. When we walked into the church for the first time on a Sunday morning, we both knew immediately this would be our church home. The warmth and friendliness was palpable. 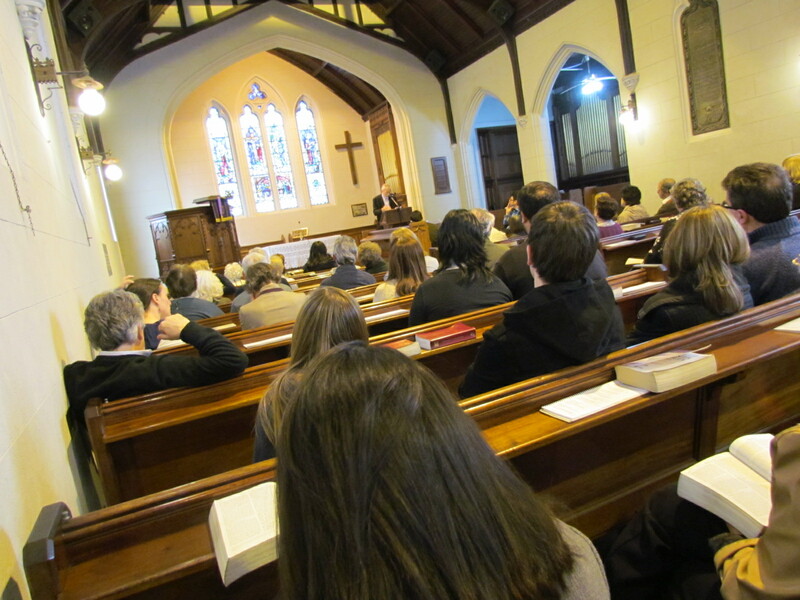 People were joking, laughing and one couple was drinking mate in the pews. There were young and old and they seemed to be interested in one another. When the singing started, we looked at each with huge smiles. The musicians were playing in an almost Dixieland jazz style, complete with clarinet! Turns out this is a weekly occurrence. Needless to say, we are very happy to have found San Andrés. We look forward to going on Sunday and we’re surrounded by others who seem just as happy to be there. What makes the church even better for us is their semi-independent, English-speaking group called The Well. (Chronologically, we really found The Well first.) The Well meets every other Sunday night for a time of song, prayer and study, and since we’re still not fully understanding everything that happens on Sunday mornings, we welcome the easy comprehension. Finding a church home was one of the last major pieces to us getting settled here in Buenos Aires. Our lives feel more complete now. Now, if we can just get those visas worked out. **If you’re traveling to or through BA and looking to attend church, you are more than invited to meet up with us. Send us a message. No need to be shy about it.